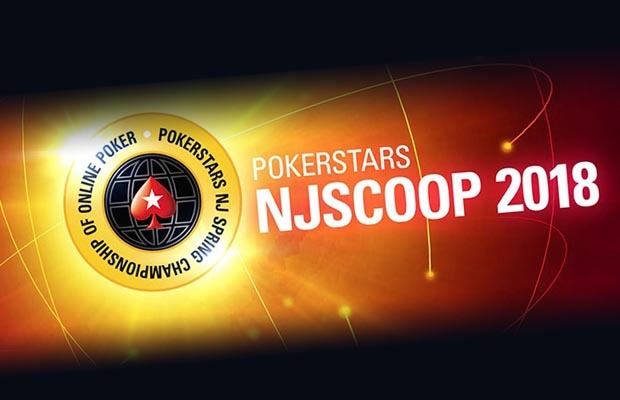 PokerStarsNJ announced the 2018 NJSCOOP schedule with 80 events on the calendar. The biggest name in online poker and New Jersey online released the schedule for the largest series to date in the Garden State. PokerStarsNJ announced $1.3 million in guarantees across 80 tournaments (40 High and 40 Low events) that run from April 14-30 for the 2018 New Jersey Spring Championship of Online Poker (NJSCOOP). The 80 events are up from 70 in 2017. The highlight point of the schedule is the two coveted Platinum Passes awarded to the NJSCOOP Main Event winners. Both the High ($500) and Low ($50) Main Event champions earn a $30,000 Platinum Pass to the 2019 Poker Player’s No Limit Hold’em Championship at the PokerStars Carribean Adventure. The High Main Event features a $200,000 guarantee and the Low is a minimum prize pool of $40,000. Other major guarantees include the $80,000 Sunday Special on April 22 and the $30,000 Super Tuesday on April 17. No Limit Hold’em is a strong feature on the schedule with most events comprising the two card game. Available NLHE variants include 8-Max, Progressive Knockout, 6-Max, Bubble Rush, and Win The Button. Mixed games have their place on the calendar as well. Pot Limit Omaha has five events with all either in the 6-Max or 8-Max variety. Other mixed games on the calendar include 8-Game, Stud Hi-Lo, HORSE, No Limit Omaha Hi-Lo. The largest buy-in mixed game event is the $500 8-Game on Wednesday, April 18. The MTT features a $15,000 guarantee. Events range on the High scale from $100 all the way up to the $1,000 6-Max High Roller $65,000 guaranteed. PokerStarsNJ offers satellites for every event starting at just $0.50. Players can also win Main Event seats in Spin & Go’s starting at $4. The NJSCOOP series opens on Saturday, April 14 with the $100/$10 NJSCOOP Warm Up and concludes on Monday, April 30 with the $150/$15 Wrap Up Hyper-Turbo.